You’ve finished the first draft of your novel – now to make it shine. 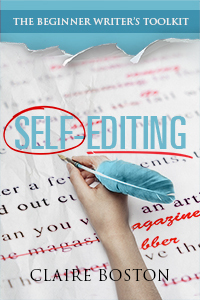 This book will show you how by focusing first on the structural aspects of a great book and then getting down to the nitty gritty of copy editing and proofreading. Not sure if the beginning will hook the reader? Think your pacing might be off? Is something not quite right but you don’t know what it is? Learn how to analyse what’s not working in your manuscript and get tips on how to fix it. Claire Boston has been writing, mentoring and judging competitions for more than ten years and continues to see the same issues in beginner writers’ work. She made the same mistakes when she was starting out. With her help you can avoid the pitfalls and ensure your manuscript is the best it can be before you submit it. On some ereaders the Appendices do not appear correctly. Click on the links below to see the correct formatting. Sign up to my reader group to get all the latest news and receive two free books as a bonus.